by Hon. 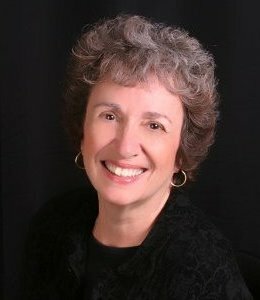 Barbara Tam Schumann (Ret. ), Steven W. Paul, Esq. and Jill Switzer, Esq. 1. Failure to fully prepare your client for the mediation/not vetting the right mediator. Make sure that your client understands the concepts of voluntariness, confidentiality, risk and compromise. You are there in mediation to try to solve their problem and achieve finality. Explain to the client that the goal is resolution of the matter and tell the client to focus on his/her own interests, not thermonuclear destruction of the other side. Discuss with your client the realities of the negotiation process, including the possibility of initial “extreme” offers and demands. Prepare your client with the type of numbers that will be offered and what the client should feel comfortable with as a settlement amount, while also maintaining a degree of flexibility in the event new information comes to light. Bring the right representatives to the mediation and have them engaged throughout. Consider bringing both the actual settlement decision maker, as well as another representative that has a solid grasp of the underlying facts. Saying “no” is easy from afar or when not engaged. Make sure to advise the mediator of any insurance issues, so that he/she can concurrently assist in coverage and contribution. If the carrier is not present, have your pre-mediation report include a range of not only the estimated value of the case, but also reasonable ranges of settlement under the circumstances. 2. Impatience with the process and the desire to cut to the chase immediately. Prepare yourself and your client to go the distance. What does that mean? Among other things, it means don’t muzzle your client. If the client wants to speak, why not? What’s the downside risk here? The process is confidential. Having the client speak accomplishes several important things. The client gets to be heard, which will not happen at trial. If there’s a joint session at some point and the client has not been deposed yet, it’s the chance for both sides to see how the client might fare as a witness at trial. Demeanor/appearance and the like can be critical in evaluating the case for settlement. The mediator wants to build a rapport with your client and put him/her at ease, but also needs to be able to advise the other side that your client is likeable and credible. Regardless of the sophistication level, having your client actively participate in the negotiation process means that he/she will be able to make better decisions by taking ownership of the process. A party who feels that he/she has had the chance to tell his/her side of the dispute, and participate in the negotiation process, will be more likely to trust the mediator and believe that the process is fair and even handed. 3. Failure to provide the mediator with sufficient information in advance of the mediation. The converse is that the mediator does not need or want to be inundated with every pleading in the matter or summary judgment motion. That’s your job to cull out what’s important. The kitchen sink should not participate in the mediation, but key exhibits should be included (e.g. the contract, relevant emails, deposition testimony, declarations). If there are multiple causes of action, a copy of the complaint may be helpful. Organize and calculate your damages, bring recent jury verdicts, and be able to provide a sound basis for your demand/offer. If a party is pleading poverty, then bring documentation to back it up. Mediation is an optimal format to informally share bank statements, tax records, and the like – under the confidentiality protection of the mediation. Why the overwhelming reluctance to share briefs? Why not tell opposing counsel what your theories are, what evidence you have, and the like? The better informed the other side is about your case, the better the likelihood of resolution. Settlement authority is always an issue when a carrier is involved or where there’s a business that requires different people to approve different settlement authority levels, and not all of them will be at the mediation. The more information the other side has in advance, the more efficient the mediation process can be. You can always provide the mediator with a separate statement that can remain confidential. If there is a concern about how a “smoking gun” is presented if the case does not settle, strategize timing with the mediator to achieve the optimum impact of that evidence. For the mediator to go in the other room and say “they have a great [email – declaration – witness] but I cannot show it to you” does not add value. Get on the phone with your mediator in advance of the mediation, even for just a few moments. The more equipped the mediator is in terms of dynamics between the parties, your client’s goals, settlement history, insurance issues, and any barriers to resolution – the better. Your mediator can hit the ground running, and key in on the issues needed to achieve settlement. 4. Failure to appreciate that mediation is a process. It’s neither a settlement conference nor an arbitration. Be prepared for detours and side trips along the way. Be prepared with a plan to negotiate, yet be flexible enough to make adjustments during mediation as needed. The mediator is there to guide the process; use him/her as your ally. Collaborate and trust the mediator, unless there’s reason not to, and if there is, tell the mediator that! The mediator is there to guide the process and is aware of the dynamics in the other room. If you are uncertain or opposed to either a particular issue in the case or a negotiating move, ask the mediator for the reasons why – transparency builds trust. Don’t just say no (and if the answer is “no”, be prepared to explain the underlying reasons why, which may assist the process further). Be creative in terms of possible non-monetary settlement possibilities. Oftentimes, non-monetary items can play an important part in an overall settlement package and may reduce the need/desire for a certain amount of monetary compensation. 5. Failure to consider the possible utility of a joint session. Every mediator has a unique style. Some prefer to start with a joint session, even a brief one. Others feel differently. Find out what the mediator’s style is. If there’s a concern about the process, discuss it in advance and resolve it before the mediation begins. A joint session may not be appropriate at the outset, but it may make sense later on during the day. If the mediator suggests it, then discuss it fully. Given the variables of the particular case, a joint session can be very helpful in closing gaps and reducing or even eliminating misunderstandings. 6. Failure to seize the day. Maintain a sense of urgency, priority, and commitment. Unless there is a drastic new fact or piece of evidence, stay to the end to work it through. Get it done. The mediator should be the last one to leave. Specifically, and as stated above, the actual decision-makers need be available at all times, spouses conferred with as necessary, carriers authority vetted in advance, sufficient evidentiary materials have been reviewed and provided, and accountants available. In this current climate at the courts, there may be no impending trial date, but act “as if.” Your client would generally prefer not to be back in a conference room/courtroom six months down the road, so seize the opportunity while all are engaged. Bring along a long form settlement agreement, circulate its terms at the right time and have it signed and copied. There’s nothing worse than a hard-earned settlement agreement that comes apart when tax treatment or confidentiality language cannot be agreed upon. While there may be planes to catch, and fatigue may set in after a long day, getting the long form settlement finalized prevents the risk of a phone call to your client three weeks later when the fine points of the settlement cannot be agreed upon. 7. Failure to be professional, courteous, and civil. The old line that you catch more flies with honey than with vinegar applies here. You will generally yield better results if you are candid, respectful, and congenial with opposing counsel. In other words, don’t be a jerk. The hardest cases to resolve are when the lawyers engage in overly competitive antics with each other – you are there to solve a problem for your client, not compete or settle a duel with opposing counsel. This does not mean that you are not a strong advocate for your client to yield the best results – on the contrary, the more direct and respectful with the other side (and your mediator), the more likely the case will resolve and with a reciprocal attitude from the other side. The olive branch can be very effective at the right time. Leave your theatrics at home. Posturing and aggressive behavior is not professional and does not impress anyone, especially the mediator. The mediator is not an adversary, but a conciliator/facilitator. 8. Engaging in Repeated Competitive Negotiating Tactics. 9. Failure to manage your client’s expectations (and yours). Be ready to adjust expectations. That’s to be expected. This starts from the moment the client walks into your office or picks up the phone, through initial discovery, and certainly before and during the mediation process. The mediation should not be the first time that your client hears that the multi-million dollar recovery may include overconfidence, risk, costs, time, and uncertainty. Confidence is one thing, but overconfidence is another. The mediator’s “reality check” should not be the first time that there is a scintilla of doubt about how this case may play out. 10. Failure to buy-in 100% at the mediation (and after as necessary). See above. If your client is not genuinely prepared/willing to settle, then why are you at mediation? Make sure the timing is right – while some mediations involve stages and multiple sessions based on complexity (and it can be very useful to set agendas for future sessions), generally the parties should be making the commitment to stay as long as necessary, bring what and who is necessary, and have the framework to resolve. The expectations should be that the case will settle. Disappointment is appropriate when it does not. Remember that your mediator is there to serve.